He listens with a smile and blesses us with inner strength and works on us internally to bring out the best reforms in us. My life has gained a meaningful purpose after enrolling in the Mahaparayana group. 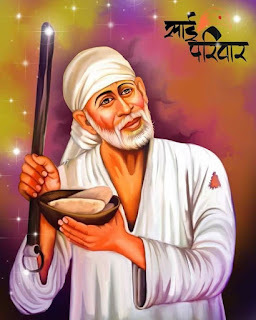 Thank You, Pooja Ji and Hetal Ji for envisioning and implementing Baba's vision and enabling people to be a part of such noble service and binding them all together with the Sai Seva thread. My recent experience of the ''VADA MIRACLE'' that happened on July 12, 2018, will forever leave an imprint of deep gratitude in my heart towards my Guru Sai Baba. I am forever indebted to You for the unconditional and pure love that You bestow on Your devotees and fulfill their hearts desires. Like any other Thursday, I started to get ready to read my allotted Mahaparayan chapters when I received a call from my Yellow house team member. She informed me that she has listened to or read her allotted chapters for the day on Youtube and wasn't sure if she could post her completion or should wait. 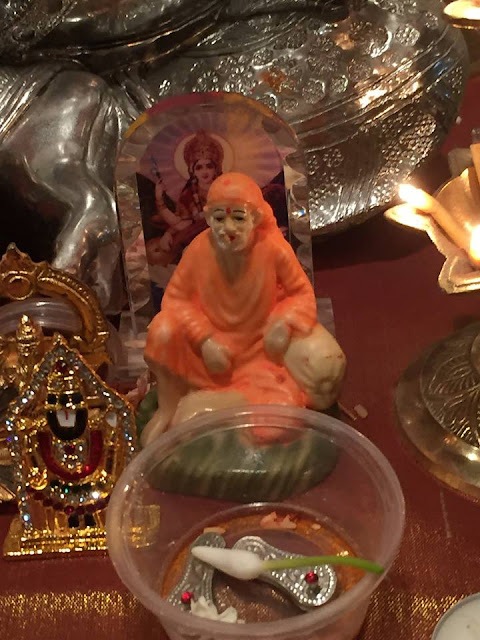 I informed her to post her completion as Baba likes our devotion and if she read with ''Shraddha'' and ''Saburi'' he will be happy and not worry about it. In my mind, I prayed to Baba to accept her devotion and decided to read her allotted chapters also in addition to mine. I was deeply involved in reading ''Satcharitra '' chapters 18 & 19, 20 first and then my allotted chapters 29 & 30. Every time I read the devotees' experiences in Satcharitra, I often compare them to my situations, my conduct in my life and make changes where and when necessary. I was reading ''Captain Hate's experience of a dream offering Walpapadi vegetable and Dakshina and asked Baba if He was craving any particular food as prasad that day as I would prepare that in the evening pooja offering. I heard my inner voice telling me ''Vada''. 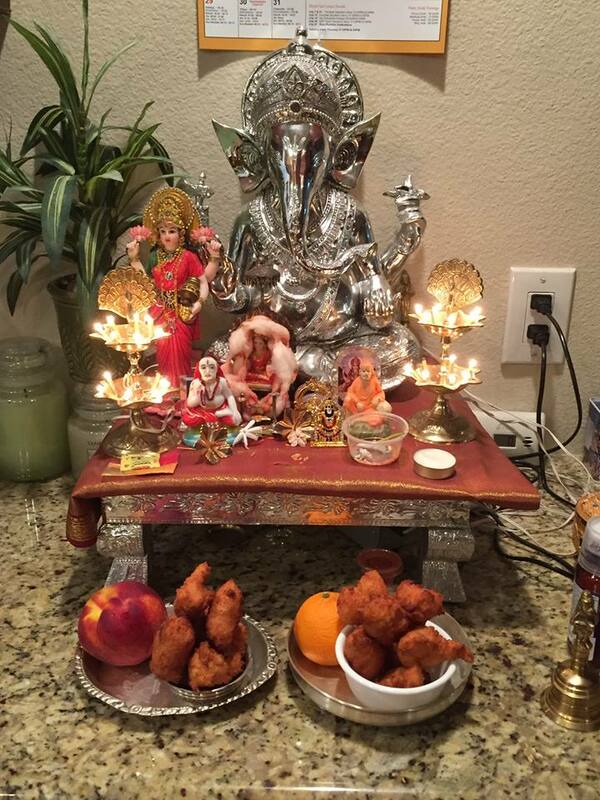 In the evening, I prepared Vada for Baba and offered Him 9 vadas during the Puja time. After completing my Aarthi, I and my husband noticed some food near Baba's mouth. I initially thought something was stuck near Baba's mouth and was about to remove it when I noticed it was a tiny vada particle stuck firmly to Baba's mouth and not falling down at all. My eyes became wet with gratitude and tears started flowing down my cheek. Baba was enjoying my vada and smiling graciously with a smirk on His face. I showed my husband and he said '' I see the miracle too'. Baba really likes eating the vada and is showing us He's enjoying eating it. I waited the entire night to see if the food morsel fell down, it didn't at all even in the morning. After offering fresh food to Baba in the morning, I ate the prasad morsel and it definitely tasted like the prasad Vada that I offered Baba. I shared this miracle picture with my extended family and we all feel blessed by Baba. I remembered the words from Captain Hate's experience '' All the people were surprised to see that Baba while dining, took and ate Walpapadi and did not touch rice and other things''. Similarly, Baba gave me a beautiful experience by showing His love towards me by accepting and eating the vada only even when another fruit was offered to Him. I also received a beautiful picture of Baba in the Nandadeep Teachers Captain group where a smiling Baba is holding a Bowl with Roti/Bhakri in His hand. This picture is Baba's answer to me when I asked Him what food He would like me to prepare tomorrow. May Baba keep showering His blessings on all of us and keep us ever at His lotus feet. My Koti Pranamas to You dearest Baba for showing us all the right path towards self-realization and for reaffirming our faith in You through Your miracles. I have attached the pictures to this email and I kindly request Pooja Ji to post this experience with the pictures. A sukhi(dry) roti also if offered with love and bhaav to our Baba will be relished very lovingly by this Old man. None can be like You. Baba We love You, always take care of us like this. Love You Deva. JAi JAi Ho Sai...!